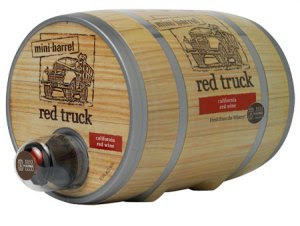 Did you know that Red Truck has come up with a Mini Barrel? How perfect would this be for your rustic, wine wedding? The Mini Barrel is equivalent to four bottles of wine … that’s 20 glasses! You could use this as a centerpiece, wine bar, or just for decoration. I am LOVING this idea. You can find them at Sams Club!